With over 25 years experience establishing and managing car parks, Britannia Parking has earned the reputation for being one of the most respected and forward-thinking car park operators in the UK. Our brief was to streamline the many different aspects of Britannia’s digital offering and focus all sources of information into one coherent solution. This would enable a central source of information feeding multiple systems to manage all online pre-booked spaces across their entire car park portfolio. Along with a minimal design style across the site, we took a super clean approach to the UX on the booking engines. 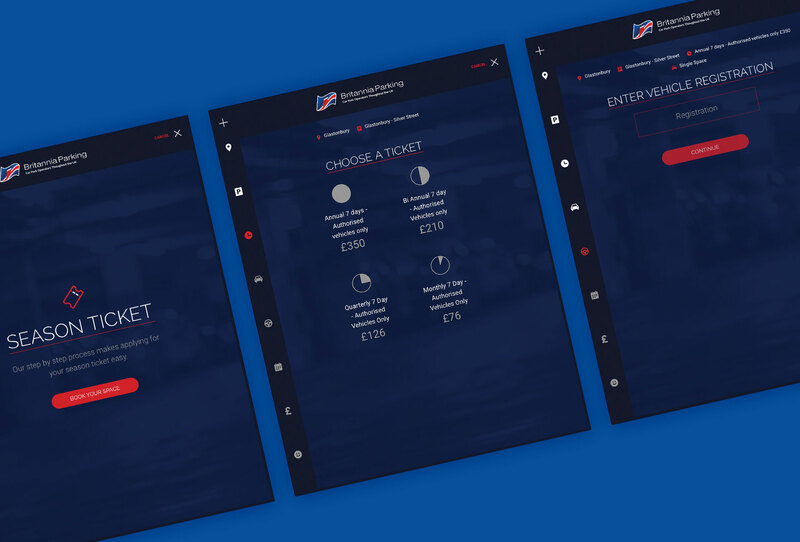 With a view to de-cluttering the purchase process, we opted, where appropriate, for a single click-through per page, enabling the customer to take the path their booking dictated and ensuring the journey from requirement to purchase was as easy as possible. This project was a really exciting opportunity – giving us the chance to really flex our muscles in disciplines we consider to be our areas of expertise – fluid design, responsive front-end coding, system architecture and ASP .Net programming. Given the bespoke nature of the brief, we built this application from the ground up, entirely around requirement.